We are grateful for your support of St. Matthew Church and our programs! We offer Online Giving which allows you to make contributions to without writing checks or worrying about cash donations. Capital Campaign Pledges/Gift Option is available. Your donation is safe, secure and confidential. The site lets you set up automatic contributions and change the timing or the amount of your gift at any time. You may make pledges and manage your contributions to the pledge amount, and you may make one-time donations to special causes. TO CREATE A NEW ACCOUNT, KINDLY CLICK ON THE GREEN “CREATE NEW ACCOUNT” BUTTON. FOR EXISTING ACCOUNTS, KINDLY CLICK ON THE BLUE “LOGIN” BUTTON. 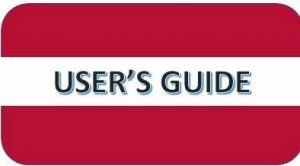 CLICK THE RED BUTTON FOR A USER’S GUIDE TO ONLINE GIVING.